OK! So I know by this point you’re probably thinking I’m crazy! 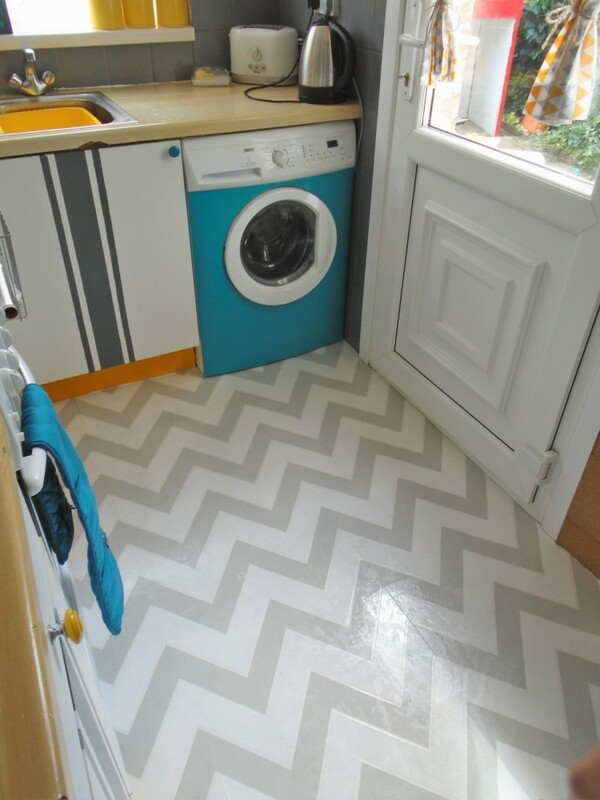 I mean its not everyday that you hear someone say they have wallpapered their kitchen floor right? Not surprising really as lets face it, wallpaper does belong on the wall (the hint is in its name!). However, if you haven’t already guessed by now, I like to be different with my decorating (don’t believe me? Just check out my outrageously painted Ball Mason Jar fridge!). I’ll admit to getting a tiny surge of adrenaline trying things that most people haven’t attempted before! Have you heard of the brown paper method that some have used to create a distinct brown flooring? If not take a look at the Paper Bag tutorial on the Domestic Imperfection Blog . 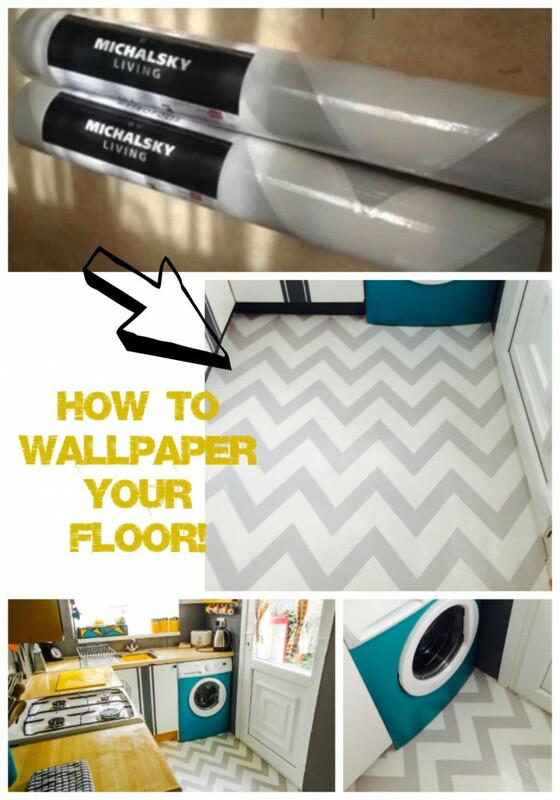 I used the same method to wallpaper my kitchen floor, except there was no brown bags involved! Just wallpaper, and lots of glue! And I mean lots of glue! I bought a huge tub off eBay because I didn’t want to run out midway! Oh and some of this too to seal everything! 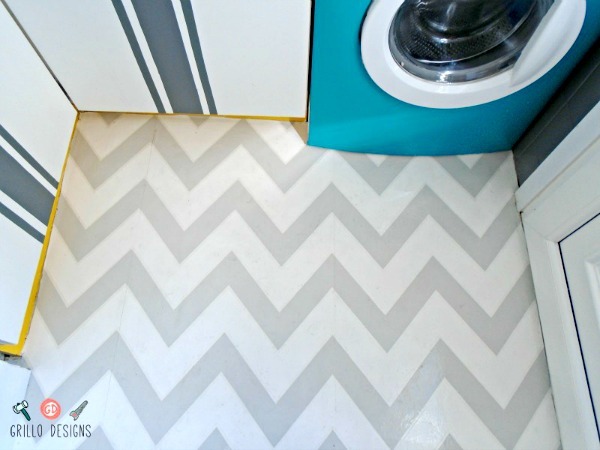 The original flooring was a cheap vinyl – all I did here was cover it over! If you’re concerned about whether you’ll be able to remove it when you want a change, don’t be! 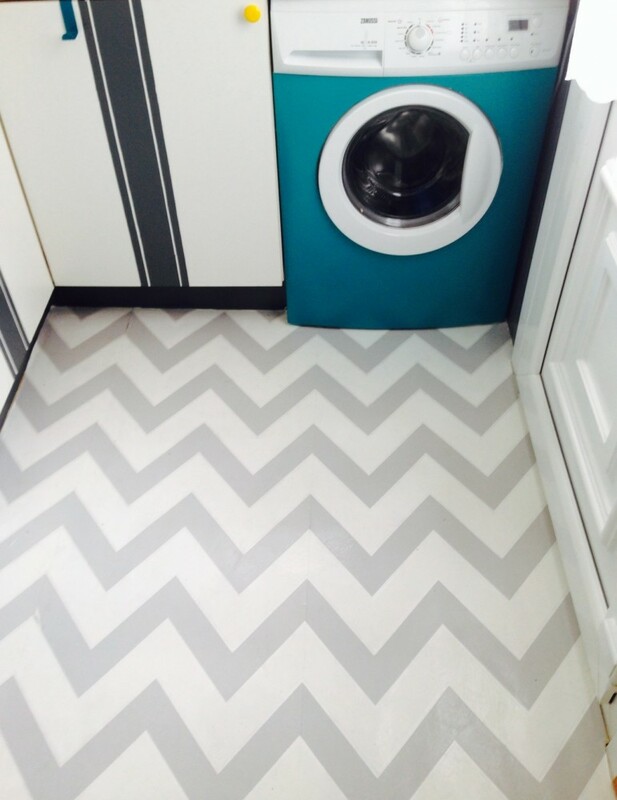 I actually did my floor twice because the first time I wasn’t too happy with the result (loads of air bubbles) and it was super easy to pull it all off and start again! Can you see all those air bubbles? 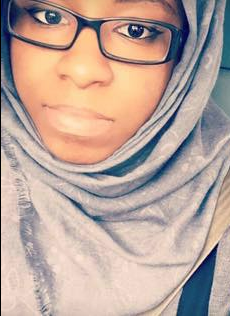 So I was going to talk you through the process, but guess what? I’ve got something even better.. a picture video tutorial! Its really not too difficult to do so I hope this has inspired you to give it a go! The key is making sure you give it a good amount of coating and leaving it to dry the recommended amount of time! This is how it looked DAY 1. 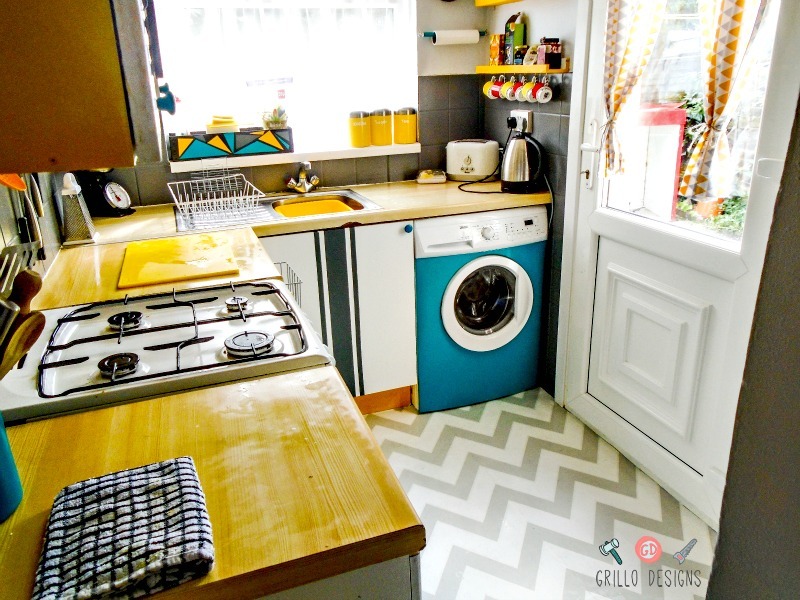 For full kitchen reveal click here. How has this floor lasted over time? How easy is it to clean? I love this idea but I want to know how it is to manage and maintain. Does the floor varnish keep it from getting slippery? That was my concern when I first read the title. Can you use contact wallpaper? HI- I’m doing a 13×13 floor so not sure if i’ll be able to get it perfectly flat…but i’ll try! question- the paper comes pre glued…why did you use additional glue? Lol Michelle at your kitchen floor comment. I think it could possibly work on concrete if it was smooth enough but I have no real idea. I do plan to try this method again in a small area of my home – so stay tuned! I plan on doing this with prepasted wallpaper. Do you foresee any issues with that? We are saving up to renovate our kitchen but until then I’d like to cover the very old and dingy. Just to confirm, by prepasted do you mean a wallpaper with a sticky back plastic? If so that should be fine. Any wallpaper can be used really. The most important thing is to seal it well with multiple layers of floor poly/varnish so that it holds up and sanding in between coats :). Hope that answered your question. Great job. 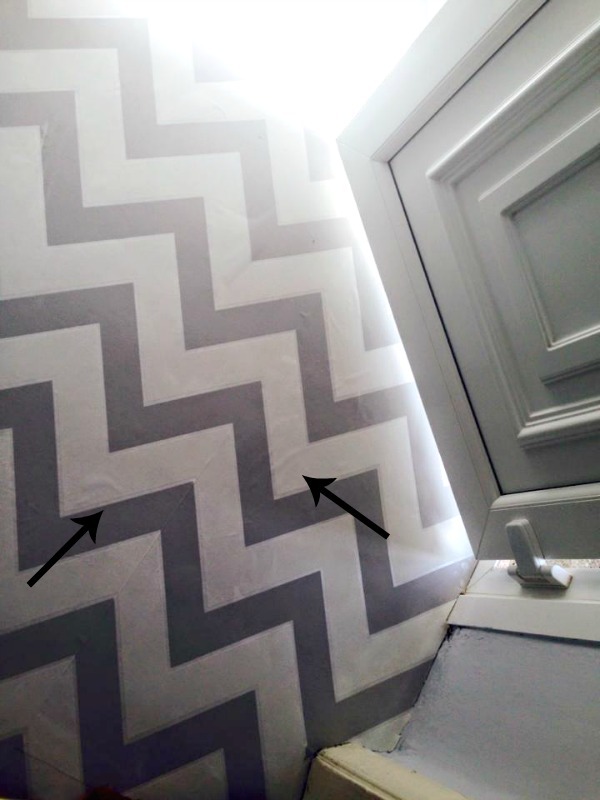 I have concerns though if you could clarify 🙂 I have 3 kids and a big kitchen so alot of messy muddy feet…will the 6 coats survive hot boiling mop water and do i have to prep the wallpaper by steaming the backing paper off before applying? No removing backing paper is needed – in fact the backing paper actually makes it more stronger and less likely to tear when sticking it in place. 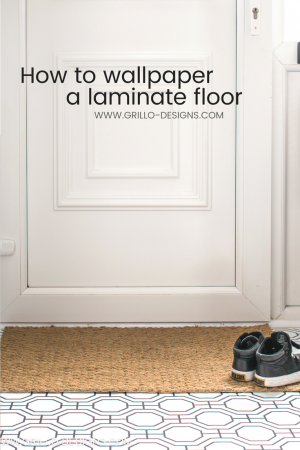 It sounds like your floor will be getting a lot of traffic so the best advice I can give you is making sure you seal it very well once in place. 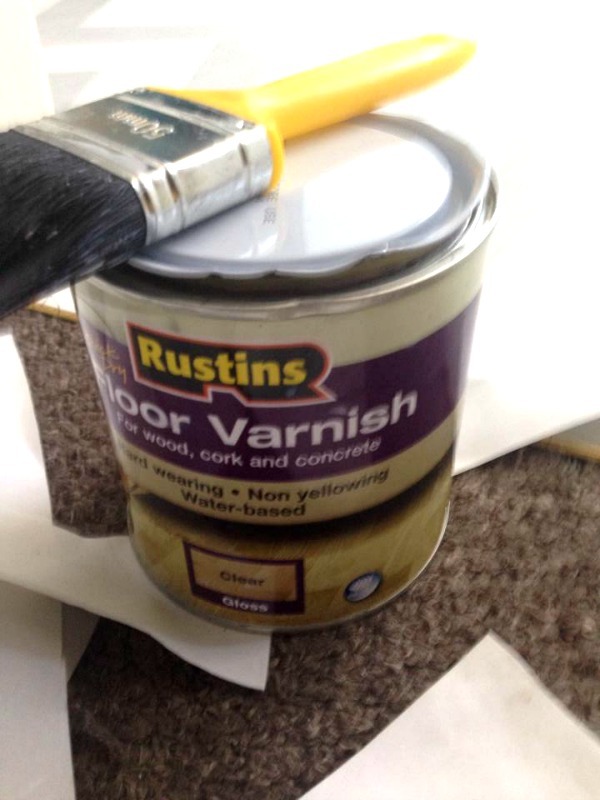 You will need at least 7 coats of floor varnish or poly to toughen it up before use. Its a long process as during that time you cant walk on the floor but def well worth it! How is this holding up? It held up well, but we had to move to a new home. 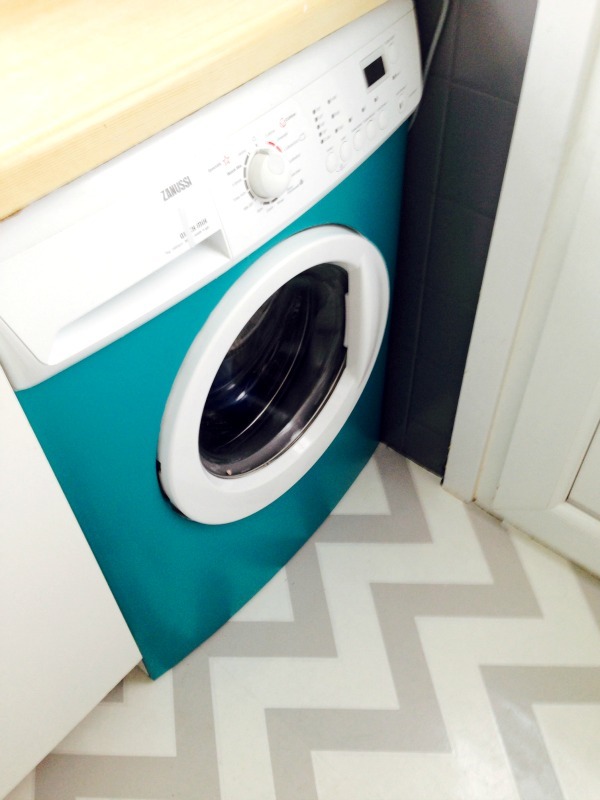 It was surprisingly very easy to remove so I really recommend this for renters! On the washing machine is that wallpaper or contact paper? It looks great.would love to do it to mine. 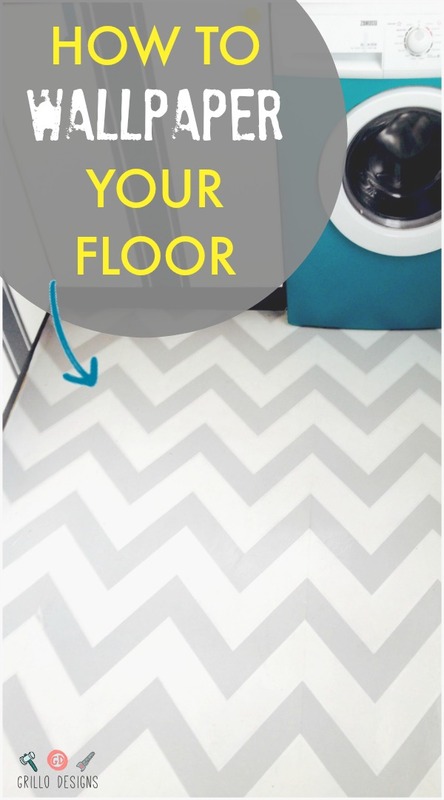 Will this ruin your floor if you ever want to remove it? So pretty and I’d love to use it instead of a rug but I’m afraid it will ruin the floor if we ever want to change things up or want it back to wood because we’re selling. Hi Janet 🙂 thanks for reading my tutorial . 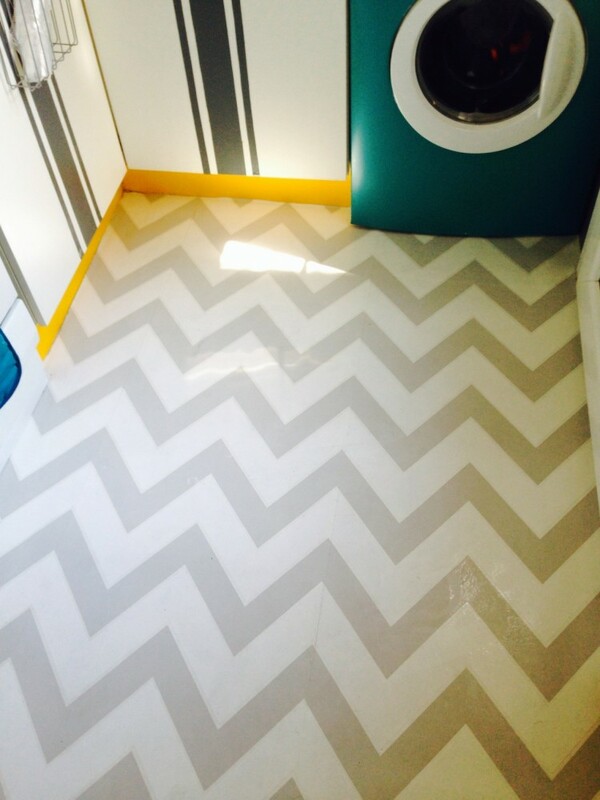 It actually doesn’t ruin the floor because this was my second attempt. I didn’t like it the first time I did it so I pulled it up and tried again and there was no damage. Plus I rent so I can’t do anything too long term! So go for it ! This is super cool! I am always looking for different things to do around the house. My husband would kill me for this one though but I may be able to try it out in the basement one day. AWESOME work. Thank you and haha go for it!